While my collaborator labors away on the illustration side of Oddfellows Serenade, I find myself idyll on the comic front. A wee bit of an artist myself, one thing I’ve never seriously attempted was illustrating a comic myself. 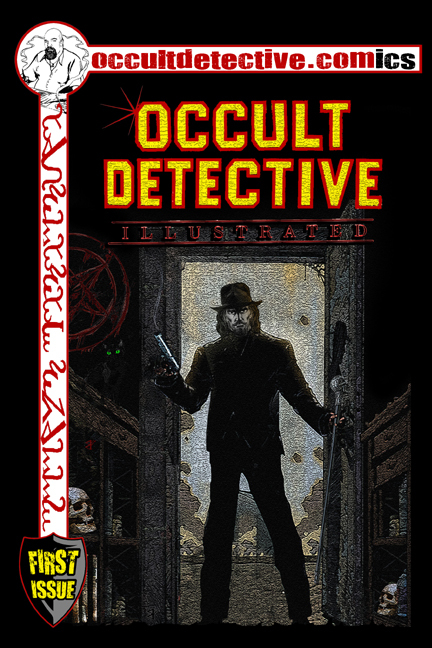 So, in the interim I’ve begun another little project — Occult Detective Illustrated. Inside will be a collection of stories and strips, all written and drawn by yours truly. Some will be experimental. Some a bit more traditional. It may take me a year or more to complete, but its something to occupy myself with whenever I need a bit of a break from other projects. It will give me a chance to stretch a different set of muscles as comic work is a far cry different from covers and pin-ups. I’m looking forward to diving in and seeing what happens when I swim in dark and unfamiliar waters.